CHAMPS TRADE SHOWS is widely recognized as the largest and most trusted counter-culture trade show in the world. Since 1999, CHAMPS has hosted the premier exhibitors in the industry and draws buyers in the thousands from all over the world to attend. The Las Vegas Champs Trade Show was a success. 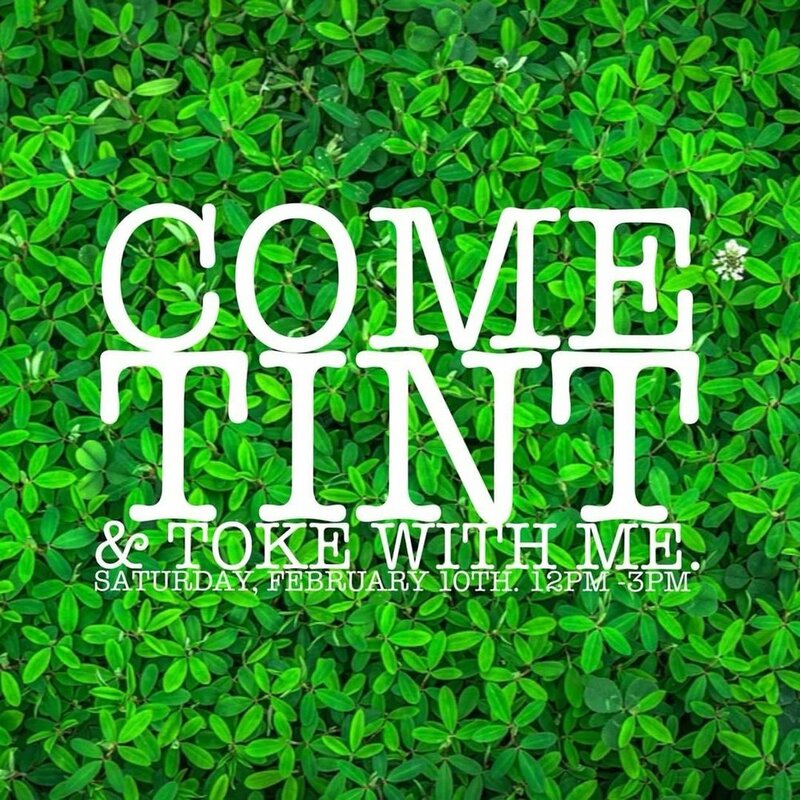 Tinat&Toke is a paint and blaze pop-up party in Los Angeles where you are given all of your paint materials, smoke goodies, and snacks with the purchase of a ticket. This SLEEP PRETTY event will focus on how sleep impacts all aspects of our lives, from health and wellness, beauty, nutrition and of course, the deed itself. A panel discussion, moderated by our favorite gals from How You Glow, will feature Wellness Experts from Casper, GOLDFADEN MD, ALTARED Space, and Nutritionist Elissa Goodman. The Summit will kick off with a guided meditation and we’ll also be featuring mini facials from Goldfaden MD, crystal readings, bites from Honey hi, acupressure, and much more. Whether it's cannabis-friendly or cannabis-only and whether I'm hosting, planning, attending, or shlepping, I can't get enough of all the good things that come with an event: the community, the love, the people, the entertainment. Find me at one below, or invite me to your next! It’s that time of year again. It’s the universally recognized cannabis appreciation day. April 20th, a.k.a. 420! To help you celebrate the day, The Observatory OC and Postmates have teamed up to bring you The Smokers Club 2018 Festival at The Queen Mary Grounds in Long Beach. This show will be, in the parlance of our times, lit. 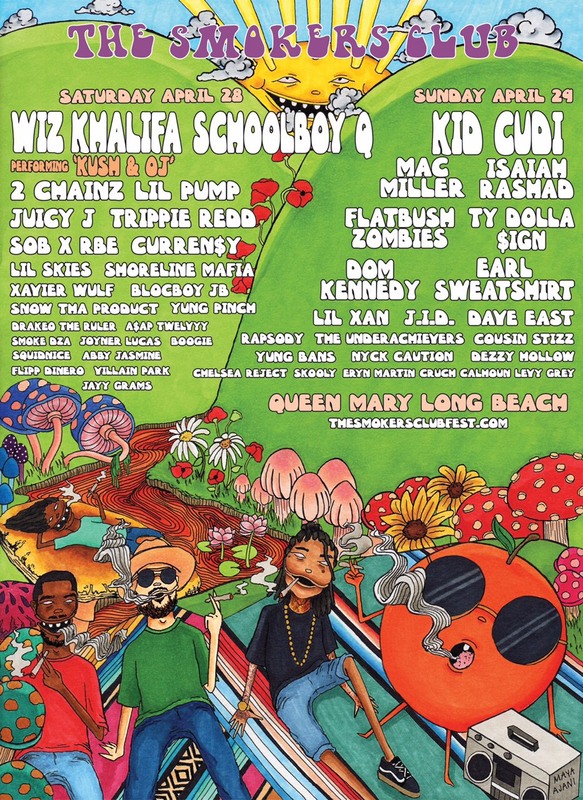 This year’s Smokers Club Festival 2018 lineup includes Kid Cudi, TDE’s own Schoolboy Q & Isaiah Rashad, Wiz Khalifa, Dom Kennedy, 2 Chainz, Lil Pump, Juicy J, Mac Miller, Earl Sweatshirt, and so much more on Saturday, April 28th and Sunday, April 29th at the Queen Mary in Long Beach, CA.